Hormone replacement therapy with bioidentical testosterone may be among the best natural remedies for depression in middle aged and older men who have symptoms of low testosterone. It’s long been recognized that depression is a common symptom of testosterone deficiency, but so far only a few studies have looked specifically at whether treatment with testosterone effectively treats symptoms of depression. Most studies have focused on the physical and sexual symptoms of low testosterone, such as weakness and low libido, rather than on the psychological. A new study, however, indicates testosterone can successfully treat depression associated with testosterone deficiency in men. Researchers from the Department of Urology at Peking University People’s Hospital in Beijing, China found that replacement therapy resulted in statistically significant improvements in depression in men over 50 years of age with testosterone deficiency (Zhang et al. 2012). The clinical trial, conducted to examine the interrelationship among symptoms of testosterone deficiency, psychological well-being, and quality of life, confirms the findings of previous smaller studies. Scoring: If you answered “Yes” to question 1 or 7, or if you answered “Yes” to any 3 questions in total, you may have a low testosterone level that could benefit from treatment. The subjects were treated for 6 months with either placebo or oral testosterone undecanoate, 120–160 mg on a daily basis, according to the baseline testosterone level. Before and after the treatment period, they were given standardized questionnaires to determine depression symptoms, anxiety symptoms, physical symptoms, overall subjective stress levels, and health-related quality of life. As baseline, the men scored high on the depression symptom questionnaire. They also had high amounts of anxiety, subjective stress, sexual symptoms, and poorer measures of general well being and quality of life. After treatment, those in the testosterone group had a statistically significant reduction in depression symptoms compared to baseline and compared to those in the placebo group who experienced no such benefits. Physical and mental health-related quality of life, sexual symptoms, anxiety, and subjective feelings of stress also significantly improved for those receiving testosterone, but not for those in the placebo group. The symptoms of testosterone deficiency are known to vary greatly, with some men experiencing no symptoms at all, while other men with only borderline-low levels may suffer from severe symptoms (Amore et al. 2012). Other studies have found that men with the lowest testosterone levels have three times the odds of being depressed compared to men with the highest levels (Almeida et al. 2008). Additional testosterone replacement studies have found that the “antidepressant” effects of testosterone lead to immediate and dramatic improvements in mood in a substantial number of depressed men who subsequently relapsed when treatment was discontinued (Seidman et al. 2001; Wang et al. 2000). The scientific evidence is finally confirming the relationship between testosterone and depression, just as more and more men entering their 50’s are being diagnosed with testosterone deficiency and looking for the best natural remedies for depression and other symptoms . As clinical trials continue to highlight the mood-boosting effects of testosterone replacement therapy, men will continue to demand natural, bio-identical versions of testosterone in their quest to use natural remedies for depression symptoms rather than synthetic drugs. Natural bio-identical hormones are hormones that are synthesized to be identical on a molecular level to that found in the human body. You don’t have to let a testosterone deficiency keep you from experiencing complete recovery from your depression. One of the best natural remedies for depression symptoms in men with testosterone deficiency is bio-identical testosterone. Although the trial was not conducted to look specifically at bio-identical versions of testosterone as natural remedies for depression symptoms, these forms of testosterone replacement therapy would be expected to have the same beneficial effects. If you believe your depression may be related to a testosterone deficiency and are determined to use only the best natural remedies for depression, you will need to work with an integrative physician experienced in bio-identical hormone replacement therapy. You will first need some lab tests to determine your testosterone levels. This is a highly complex area that absolutely requires an experienced physician to help you. The complementary directories on this website can assist you in finding the help you need. Almeida OP, Yeap BB, et al. Low free testosterone concentration as a potentially treatable cause of depressive symptoms in older men. Arch Gen Psychiatry 2008;65:283–9. Amore M, Innamorati M, et al. Partial androgen deficiency, depression, and testosterone supplementation in aging men. Int J Endocrinol. 2012;2012:280724. Morley JE et al. Validation of a screening questionnaire for androgen deficiency in aging males. Metabolism. 2000;49:1239-1242. Seidman SN. Testosterone deficiency and depression in aging men: pathogenic and therapeutic implications. J Gend Specif Med 2001; 4: 44-48. Wang C, Swerdloff RS, et al: Transdermal testosterone gel improves sexual function, mood, muscle strength, and body composition parameters in hypogonadal men. J Clin Endocrinol Metab 2000; 85: 2839–2853. Zhang XW, Liu ZH, et al. Androgen replacement therapy improves psychological distress and health-related quality of life in late onset hypogonadism patients in Chinese population. Chin Med J (Engl). 2012 Nov;125(21):3806-10.
aging, antidepressant, anxiety, anxiety symptoms, being depressed, best natural remedies for depression, bioidentical testosterone, bone, bone mineral density, brain, cognitive function, depressed, depression, depression in men, depression in men over 50, depression symptom, depression symptoms, depressive symptoms, endurance, erectile, for depression, health, hormone, hormone replacement therapy, insomnia 2, integrative, lack of energy, lack of motivation, low libido, low testosterone, low testosterone symptoms, memory, memory impairment, mental health, metabolism, mood, muscle, muscle mass, natural remedies, natural remedies for, natural remedies for depression, osteoporosis, recovery, remedies for depression, sad, strength, stress, symptoms of depression, symptoms of low testosterone, testosterone, testosterone and depression, testosterone deficiency, testosterone deficiency symptoms, testosterone replacement, testosterone replacement therapy, treat depression. Thank you for this very good article of yours! This is such a big help to those who suffers from low testosterone. Visit this site http://www.bio-identical-testosterone.com/ This is such a big help to those who suffers from low testosterone! This is an interesting post. This is a very good insight to someone who feels the same. 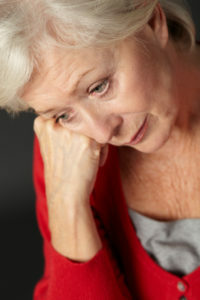 Natural treatment for depression can be a good step to cure it. This is a very good article. 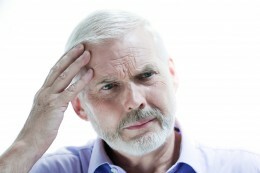 Men approaching middle age often face signs associated with dwindling testosterone levels. Unfortunately, most men are unaware that these signs are because of poor T levels and the condition often gets misdiagnosed as depression. Incidentally, depression is also a symptom of low T levels in men. Hormone replacement therapy is a great option for depression – it reinstates testosterone levels which are so important for overall well being and a happy and healthy life.